Home / Über WP.eu / Scenarios 2030 / Worker participation 2030. Four scenarios. 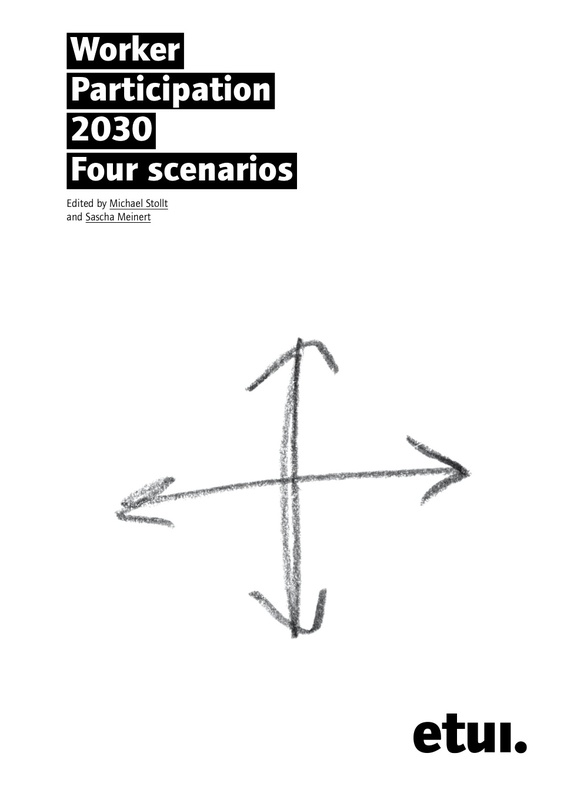 Scenarios are not intended to predict the future, but to provide the reader with a ‘future map’ of what might be. They are also not intended to tell people what they should or should not do. Instead, they help us to conceive alternatives and be prepared for several different futures and to deal with the risks and opportunities lying ahead of us. Just as a regular compass is very useful for taking one’s bearings in space, scenarios enable one to take one’s bearings in time. Working with scenarios also makes clear that the future is not yet written and that it is worth trying to actively shape it. The exploration of the future upon which this publication embarks – a quite atypical research area for the ETUI – comes with an unusual layout and illustrations which seek to express the different dynamics of each scenario. The attractive hard copy version of this book has been produced with spiral binding, cardboard cover and colour illustrations. More information on the project Worker Participation 2030.